Christena Nippert-Eng is a sociologist and Professor of Informatics at IUB. Her scholarly interests include cognition, culture, gender, privacy, time, space, everyday life, ethnography, user-centered design and, most recently, the social behavior of nonhuman animals, especially the rest of the great apes. 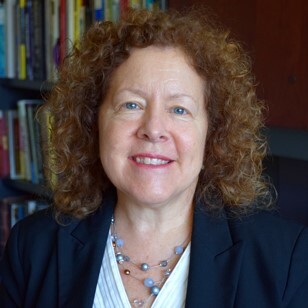 Dr. Nippert-Eng's work has been featured extensively in the media, ranging from NPR's "Talk of the Nation" and programs on PBS and MSNBC to the New York Times, Wall Street Journal, Newsweek, Working Mother and Fast Company. She has served as a consultant to a number of companies including HP, Motorola, Gillette, Steelcase, and Hilton Hotels. Nippert-Eng's published books include Home and Work: Negotiating Boundaries Through Everyday Life and Islands of Privacy: Disclosure and Concealment in Everyday Life, both with the University of Chicago Press. Her newest book, Watching Closely: A Guide to Ethnographic Observation (October 2015 Oxford University Press) is an exercise-based approach to learning the skills of direct observation, featuring the work of former students in design, architecture and the social sciences. Note: "Christena" is pronounced exactly like the more common spelling, "Christina."